About half an hour from Haifa are the tombs of the ancient Jewish elite. The bodies are gone (either robbed out or excavated), but the coffins are still there: most too heavy to lift, all too sacred to relocate. The town of Beit She’arim was founded by Herod the Great in 1st Century BCE, and was home to the famous Rabbi Judah HaNasi, descendant of King David and editor of the Mishna. 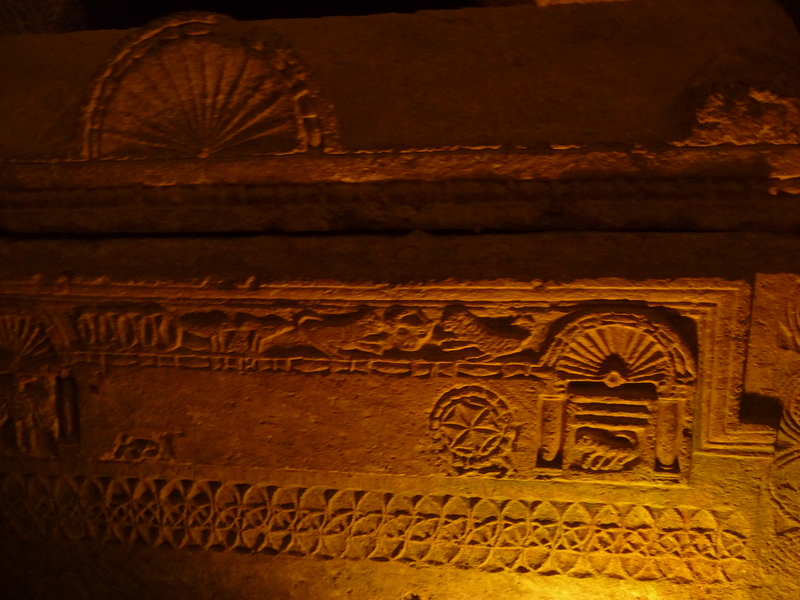 Robbers of the tombs must have grown very rich, for the residents undoubtedly required a great deal of wealth to acquire holy burial beside the great Rabbi following his death in the 3rd century. 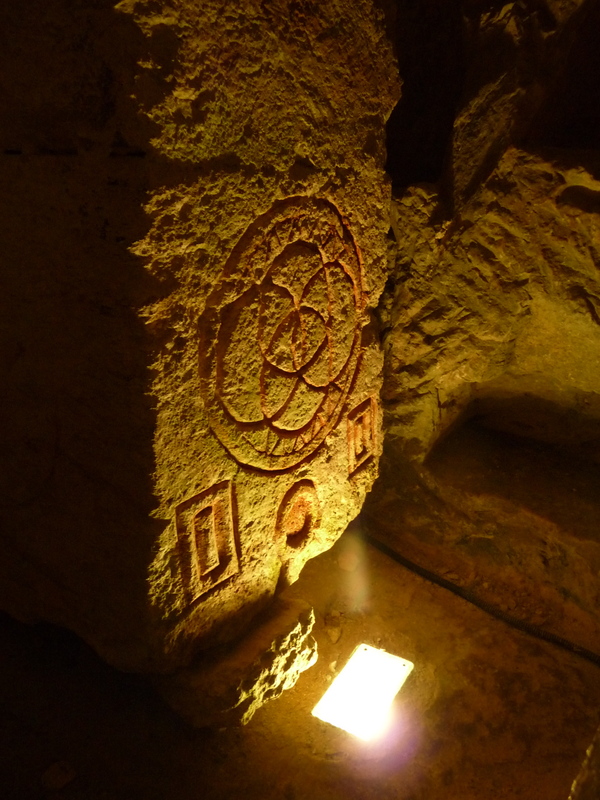 The tombs were built into caves at the foot of Beit She’arim’s wooded hills. Depending on the wealth and status of each dead subject, every tomb exhibited a corresponding size and form. Tombs of the highest elite were carved from of large blocks of stone, which often exhibited holy inscriptions and professional engravings. 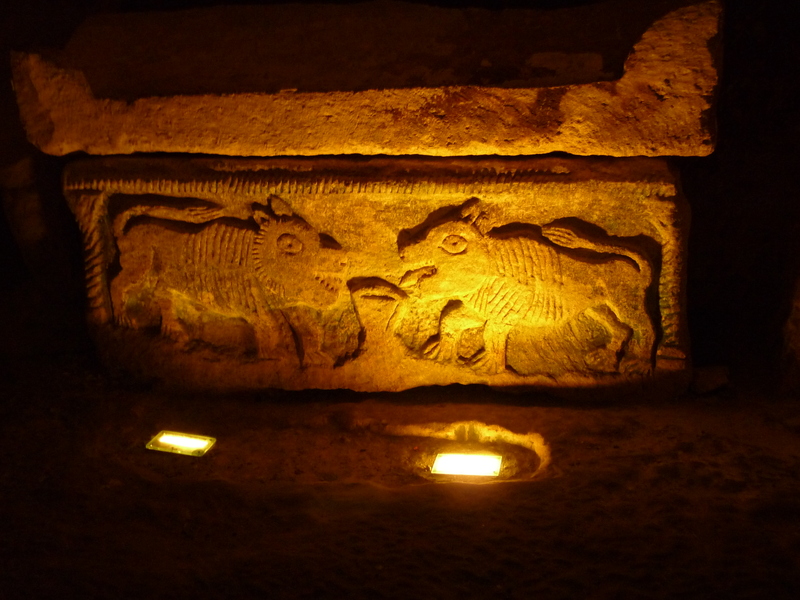 Other tombs were carved into the floor or the cave walls and resembled mere rectangular holes into which the dead were placed and covered. The smallest tombs were semi-circular shelves set like deep pockets into the cave’s interior, and were either used for children or for secondary burials (in which family members sought holy grave sites for loved ones whose flesh had long-since decomposed in other locations). Each burial cave—regardless of whether it was suited for one body or many—was framed by a rectangular door that led into a dark stretch of peace. 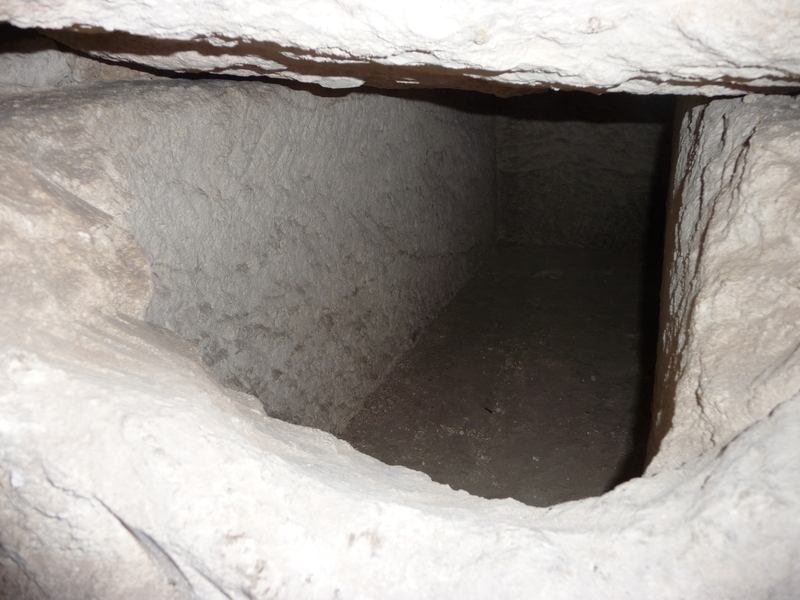 While at least ten caves have been excavated at Beit She’arim, only three or four have been unlocked for tourist exploration. Wandering apart from my student group, I made my rounds from grave to grave. The most impressive burial collection was the “Cave of Coffins,” which once contained hundreds of bodies. As soon as I stepped through the large door of the cave, I felt an enormous burst of cool air from the dark hall in front of me. The atmosphere struck a combination between a morbid refrigerator and a refreshed, open mouth. The hall of the cave was the width of a trailer-truck and, from what I could see from the floor-lights, traveled back at least twenty meters. To the left and right of the hallway were rooms of various dimensions (most larger than a small living room). 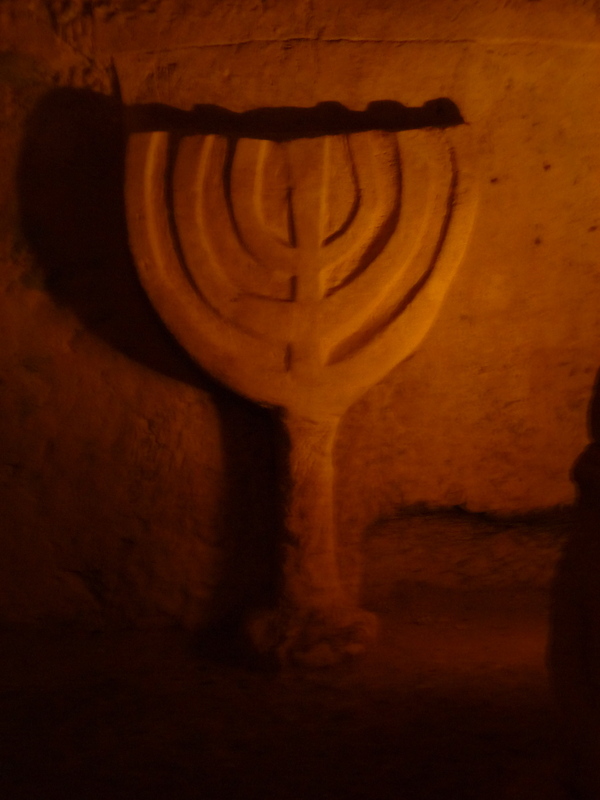 Each room contained coffins of white rock, many of which displayed inscription and engravings in Hebrew. Among the engravings were conch shells and lions: both symbols associated with the presence of God in Jewish traditions. While the engravings looked clean and professional, the inscriptions were roughly sketched. 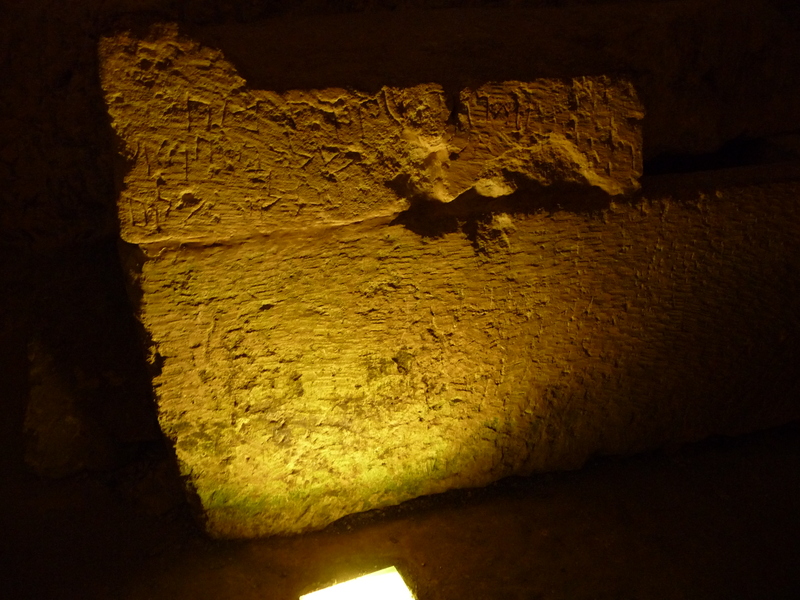 One member of staff on our expedition read a chicken-scratched, Hebrew inscription on a tomb: “holy holy holy,” which apparently represented a commonly-referenced phrase from the Book of Isaiah. 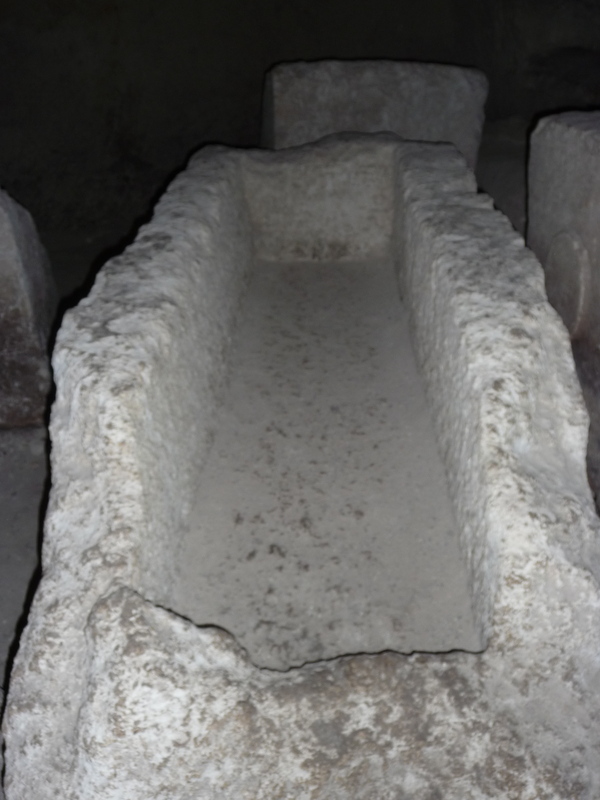 When no one was looking, I swung my legs inside a stone coffin and settled inside. (For the moment) safe from discovery, I let my spine relax in the 7-foot space. The rock was cool and refreshing. The ceiling of the coffin looked rugged from where, centuries ago, large tools made way for a new body. The room around me was quiet and dimly lit: comfortable for sleeping. I almost felt sorry that whomever once laid inside this tomb never appreciated its comfort. 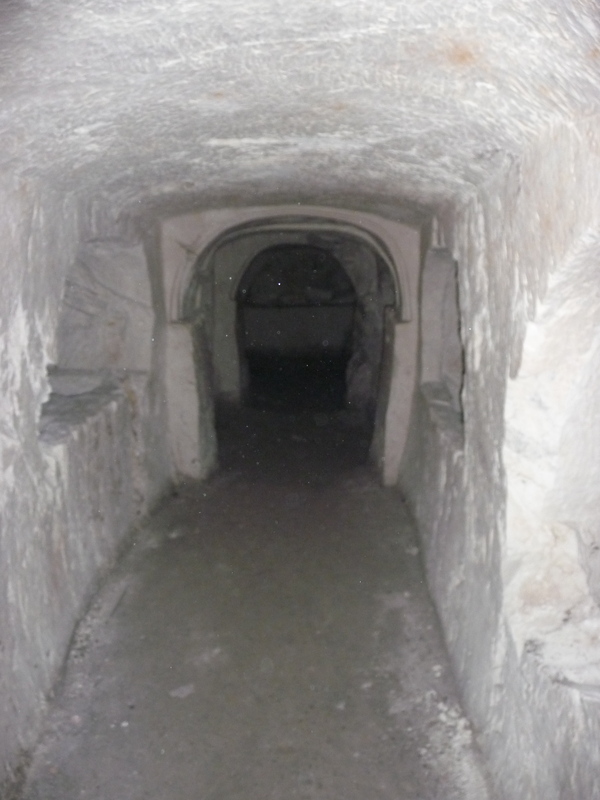 At the rear of one coffin room, I observed an arched doorway blocked by an enormous coffin. Evidently, the space beyond this coffin wasn’t welcome to visitors; however, to satisfy my curiosity, I merely climbed atop the roof of the coffin (about the height of a large cabinet), and slipped over to the other side. This forbidden space did not look particularly different from the other rooms in the cave, apart from the mysterious sediment inside most of the coffins. This suggested that they had yet to be fully excavated and emptied. 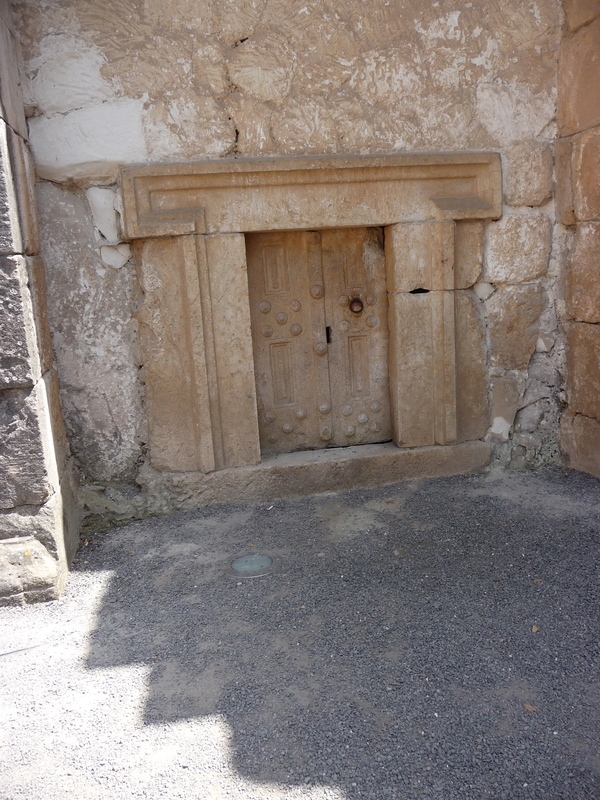 I wanted to stick my fingers inside and sift for signs of bones, but decided otherwise. As I finished the cave tour, I noted that every single coffin bore a large hole from ancient burglar intrusion. All I was left with were cold, empty beds: objectively fascinating, but too abandoned to be haunting. The Cave of The Ascents. I only took several steps without a flashlight before I grew scared and turned back. What happened to the Cave of Wonders?? This loosely supervised Cave of Coffins expedition definitely creeps me out. (You didn’t see my name in there, did you?) Climbing over coffins, sleeping in coffins , I was so happy you finally got scared at the end and ran out of The Cave of the Ascents. Sounds like you’ve got excellent material for your next graphic novel! Keep up the reportage, Tomb Raider!